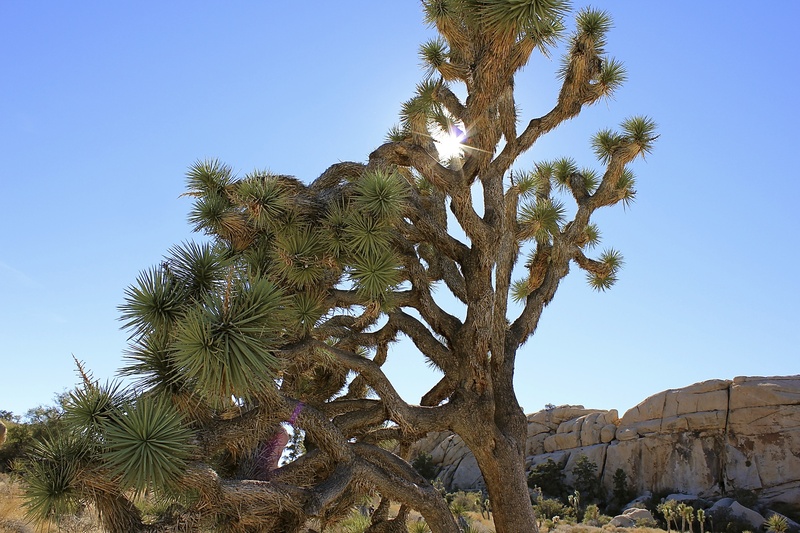 Yucca brevifolia (Joshua Tree) is a plant species belonging to the genus Yucca. It is native to southwestern states and confined mostly to the Mojave Desert. The name Joshua tree was given by a group of Mormon settlers who crossed the Mojave Desert in the mid-19th century. The tree’s unique shape reminded them of a Biblical story in which Joshua reaches his hands up to the sky in prayer. This entry was posted in Photography and tagged Joshua Tree, nature, photography, quotes, Tree Tuesday. Bookmark the permalink. Very interesting. I like that tree! I must show my friend Josh, him as a tree. 🙂 Thanks for sharing this! Great addition to Tree Tuesday. I’ve always been fascinated by the seemingly unpredictable growth patterns of the Joshua Tree.